Android’s latest update. 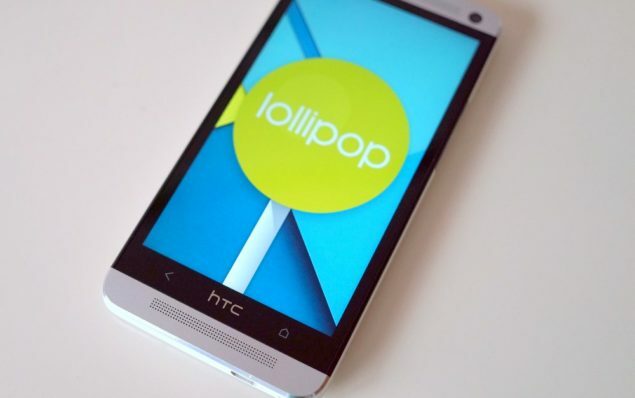 the 5.1 Lollipop OTA has finally made its way to HTC’s One M7 Google Play Edition (GPe). Weighting in for about 281MB in size, the update has a clot to change in the HTC One M7 GPe ranging from bug fixes to fixing connectivity issues, stability, notification and volume controls and more. The OTA update for HTC One M7 GPe has arrived to many regions by which users can update their firmware by going to Settings >> About Phone >> System/Software update. For all those M7 Gpe users who cannot wait to get their hands on the latest Android 5.1 update with build LMY47O, you can download it and flash it manually following some simple steps. Verify your phone is already running on the Android 5.0.1 with build number LRX22C. Make sure the device is in S-Off Mode. You should have at least 80% battery life to avoid shutdowns in the middle of the process or while reboot. Make sure all of your important data is backed up. The guide provides update for the HTC One M7 GPe alone and not any other device or model. Your device might get bricked if you do so. First you need to download the following OTA ZIP File: HTC One M7 GPe Update 5.1. Copy the downloaded ZIP File to the internal storage of your device after you connect it to your computer. Once its copied, disconnect your M7 and power it off completely. Go to your phone’s bootloader. Do this by press and hold Power and Volume Down button together. In the bootloader, use volume keys to navigate to the Recovery and press power button to select it. Boot in recovery mode, you will see the android system recovery on the display. Select ‘apply from phone storage’ and select the copied OTA ZIP File. Reboot the system when the installation is complete. After the reboot your HTC One M7 GPe will wake up to the latest Android 5.1 update. There you have it, folks. Your system software on the HTC One M7 Google Play Edition has been updated to the latest firmware upgrade. If you have trouble performing the steps, you should might as well wait for the official OTA update to roll out to your region. As for now, let us know in the comments if you had any issues regarding the operation. Do you guys see any visual changes in the software upgrade?